Yachting Developments is very pleased to be sponsoring the 2017 NZ Match Racing Championships for the second year running. This is a great event that we are excited to be involved in as title sponsor. 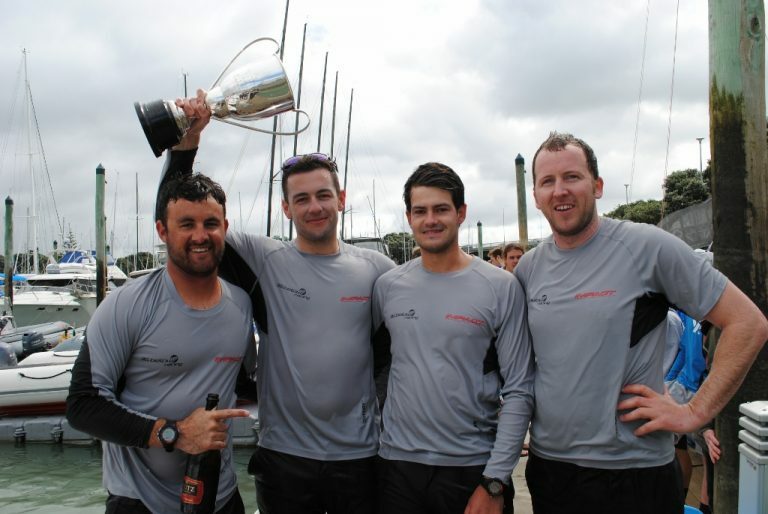 The 2016 event saw a renewed interest in the New Zealand Match Racing Championships, with a switch to fleet/match style format and America’s Cup style course. The new format opened the regatta up to 20 teams (80 sailors) and attracted some of the best sailors from NZ and around the world. This included 2016 Olympic bronze medallist Sam Meech, NZ’s upcoming professional sailors Chris Steele, Graeme Sutherland and top sailors from Australia including David Chapman and Evan Walker. There were also top ranked match racing teams from Malaysia, Canada and USA. In 2017 the New Zealand Match Racing Championship will also be the final event of the international ‘Match Race Super League’ attracting the best match racing teams in the world. Another new feature for 2017 will be a qualifier for local teams, which has been set for August 19th & 20th. Defending champion Chris Steele, who is currently overseas competing on the World Match Racing Tour, Extreme Sailing Series and who just finished 3rd at the M32 World Championships in Sweden, has already confirmed his entry. If Chris can successfully defend his title for a second time, he will become one of only two skippers in the 31 year history of the event to win the regatta in three consecutive years (the other skipper being Dean Barker in 2004-2006). Graeme Sutherland who finished a close second in 2016 after leading through the qualifying, has also confirmed his entry. Graeme and Chris are currently team mates and co skippers on the NZ extreme team sailing in the popular Extreme Sailing Series. Other entries already confirmed are young sailors Allister Gifford and Frankie Dair who qualified through the Harken Schools Regatta early in this year. Frankie has already shown to be an upcoming talent with a recent 2nd place finish in the NZ Youth World Match Racing trials. The racing will take place from the 27th September to the 1st of October 2017 with viewing and live commentary from the RNZYS Member’s Bar.